The XID boiler has several important important design advantages. – Distance from the normal water line to the steam nozzle is up to 2 times that of old design. – Steam volume is 2 or more times that of old design, competitive boilers. – Generous furnace volume provides greater primary heat transfer and improved burner operation. -15 year warranty provided for the furnace, tube sheets, combustion chamber and flue doors. 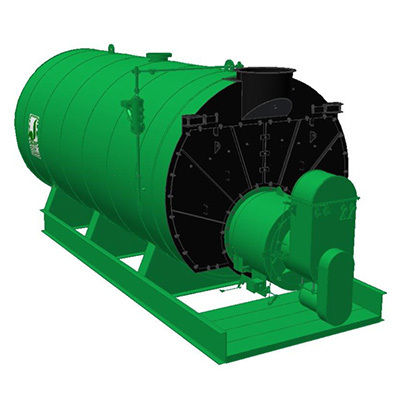 The XID Boiler Is designed specifically for industrial process steam instillations requiring extremely dry steam, high peak demand and rapidly changing loads.